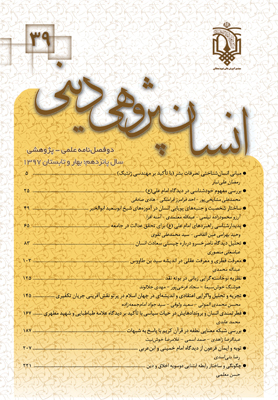 Words and action of Abu Sa'id Abu al-Khair (357-440 AD) has been the essence of Iranian and Islamic Mysticism and Gnosticism in the golden era of these cultural and spiritual phenomena. The current research is an attempt to study the personality structure and aspects of human dynamism in the doctrine of Abu Sa'id Abu al-Khair. Whatever this scholar knows about human personality is “becoming” i.e. “movement”. According to him, movement is the very nature of human being which does not require any stimuli or motivation. The nature of this movement and its direction needs to be explained. Whatever that determines this movement and its direction are the goals and models to which Man is attracted. The scope of human growth, too, is relative to the limitation and expansion of these goals and models.